There’s just something about a gathering of thousands of caterers that makes Catersource a must-attend event every year. We’re happy to say we’ve been at Catersource for quite a while. And once again we’re getting ready to showcase Cambro products and solutions to the hard-working catering world gathered at Catersource 2015 in Las Vegas. Visit booth 1600! Inspired by Top Chef’s Quickfire Challenge, watch as these talented chefs complete in a heated rivalry. Contestants will be given a covert list of food items and then will have just minutes to prepare and present their catering creation. 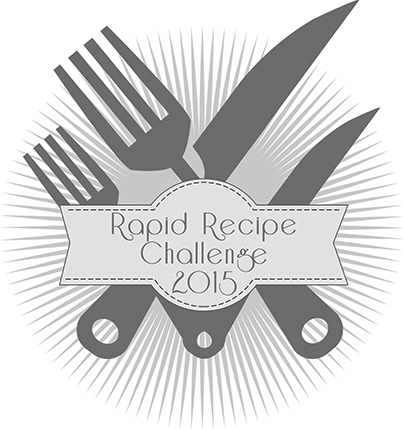 Cheer on your favorite chef as a team of experts decides who is named the Rapid Recipe Champion. This is the second year for the Diced Competition and if last year was any indication of the competitive nature of the event, you cannot miss this competition! See last year’s pictures – click here. You can always keep up with updates by following us on Twitter and Instagram. Better yet, download the new Cambro App! We’re also offering a chance for Catersource attendees and non-attendees alike to enter for a chance to win a shelving and storage package – the same products used in these competitions at the show. Simply tell us what products would greatly improve your operation to be entered to win! Entries can be submitted online at www.cambro.com/catersource.